Adipocyte differentiation medium intended for human stem cells. This product is available in 100ml and 500ml bottles. It is recommended for use on human mesenchymal stem cells (MSCs) to differentiate them into adipocytes. AdipoQual™ is shipped on ice packs and comes ready to use. Store in 4C and use within 30 days of receiving. AdipoQual is an adipogenic differentiation medium, formulated to promote adipogenesis in human mesenchymal stem cells or hMSCs. It has been optimized for bone marrow-derived and adipose-derived stem cells. 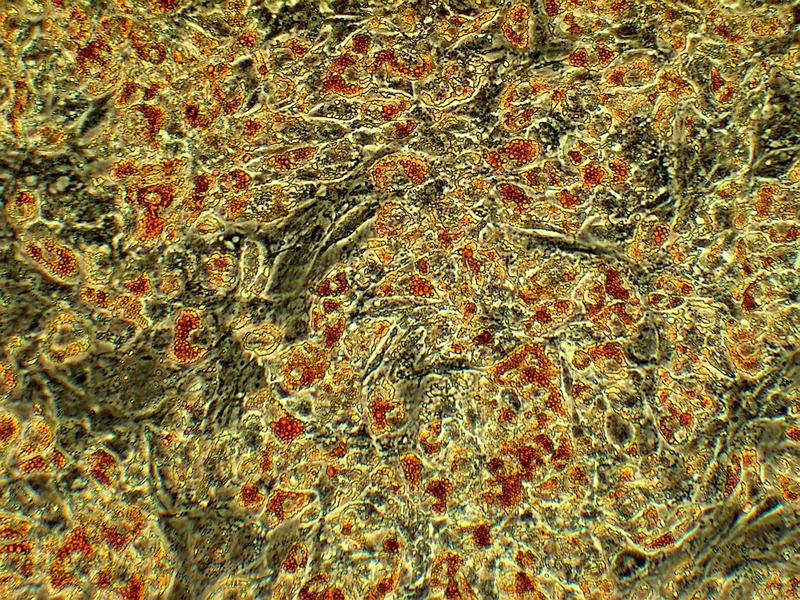 Adipogenic differentiation of human mesenchymal stem cells (P1), stained with Oil Red O at day 10. Differentiation was induced with AdipoQual adipogenic differentiation medium. Medium was changed every 2-3 days until the cells reached adipogenesis. Pictured with a white background. 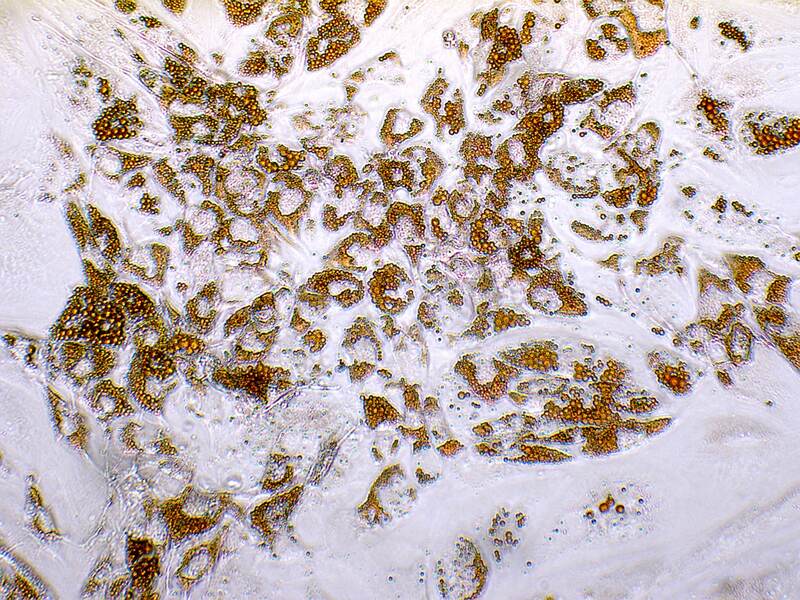 Adipogenic differentiation of human mesenchymal stem cells (P1), stained with Oil Red O at day 10. Differentiation was induced with AdipoQual adipogenic differentiation medium. Medium was changed every 2-3 days until the cells reached adipogenesis.